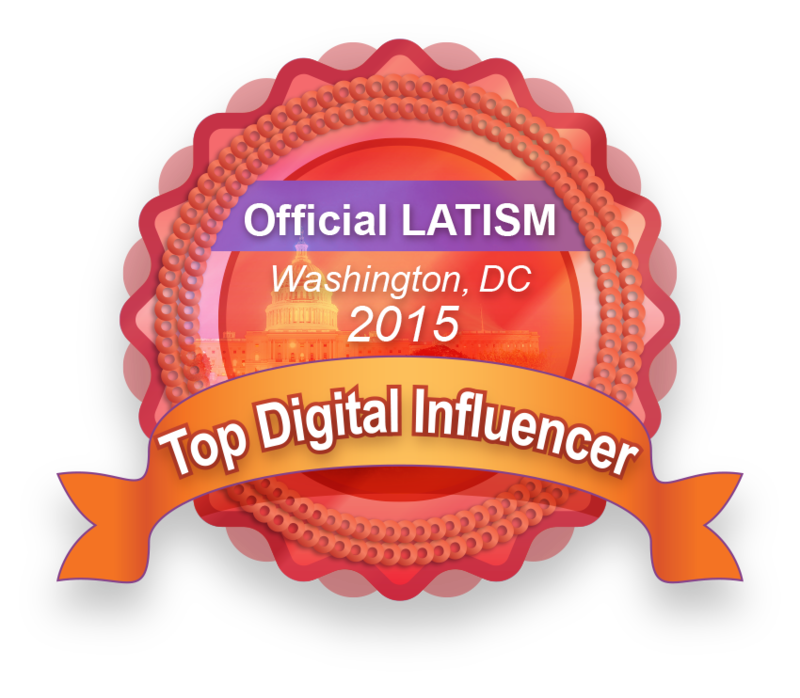 If you didn't know... now you know! Camp Omni and the Kids Fantasy Suite at Omni Hotels is a hidden treasure! 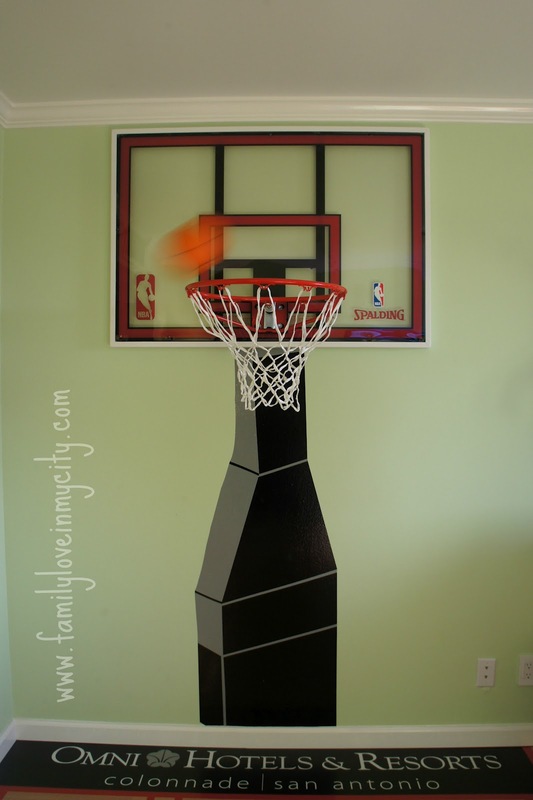 As I began typing this post, I was lounging on a King size bed, while my kids were in the other room (they are connected, door was partially open) playing like there was no tomorrow! 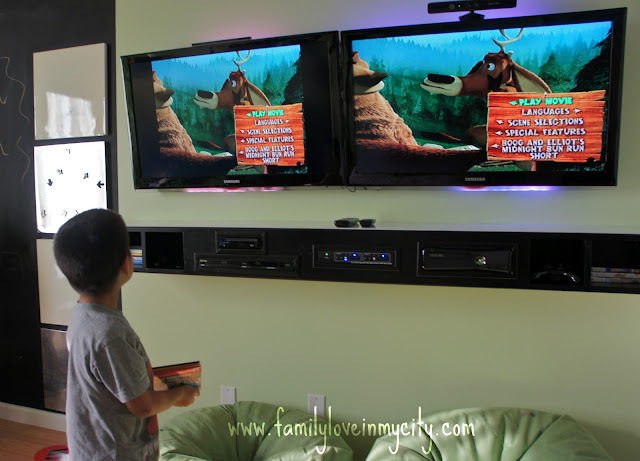 The Kids Suite at Omni Hotels is a hotel room that you actually want to hang out in! And one that you can actually relax in, as parents! There's no "Mommy, I'm bored. ", "Can we go to the pool again!". The kids get to enjoy all of this, while you are in the comfort of your own bed, or lounging in your own separate living area! It feels just like HOME! 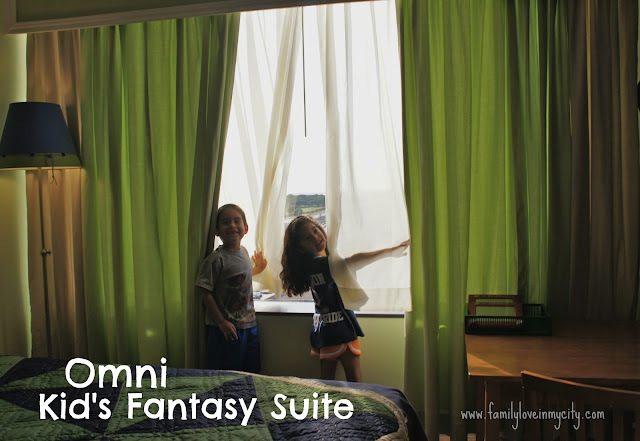 Along with the Kids Fantasy Suite, we were able to enjoy Camp Omni during our stay! 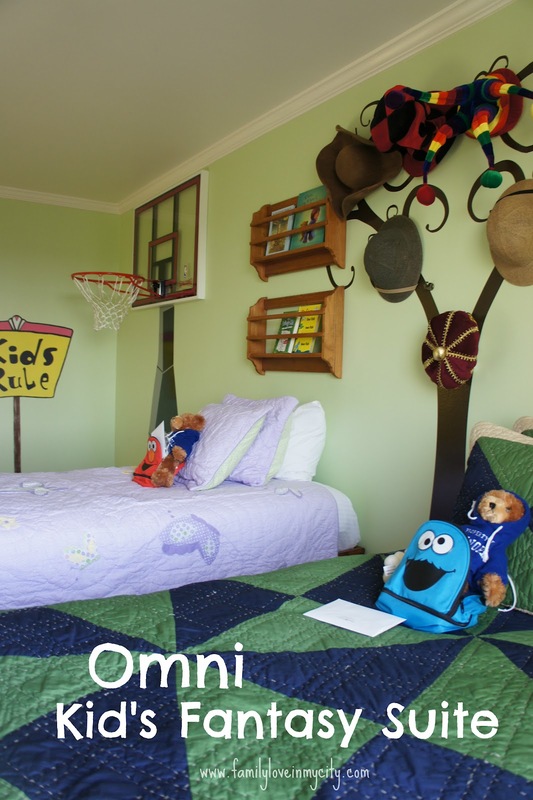 Camp Omni is subject to availability from June 1 - September 16. 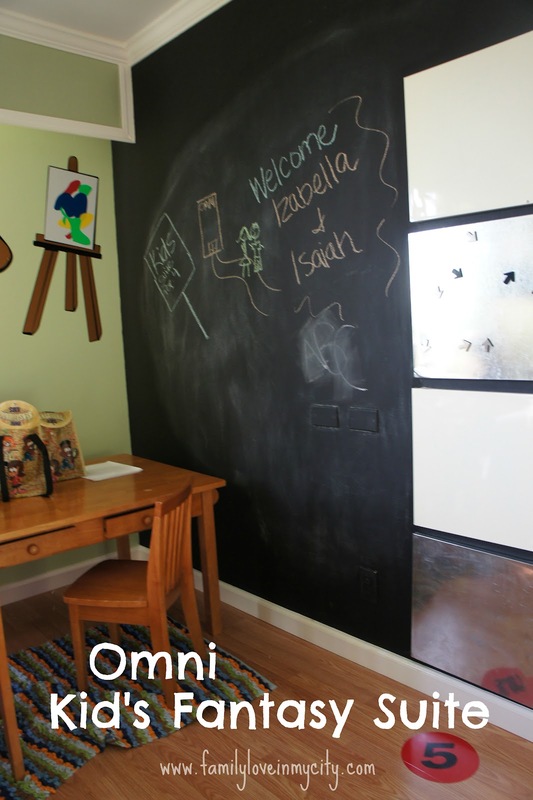 When making your reservation at an Omni Hotel, please be sure to ask for Camp Omni! 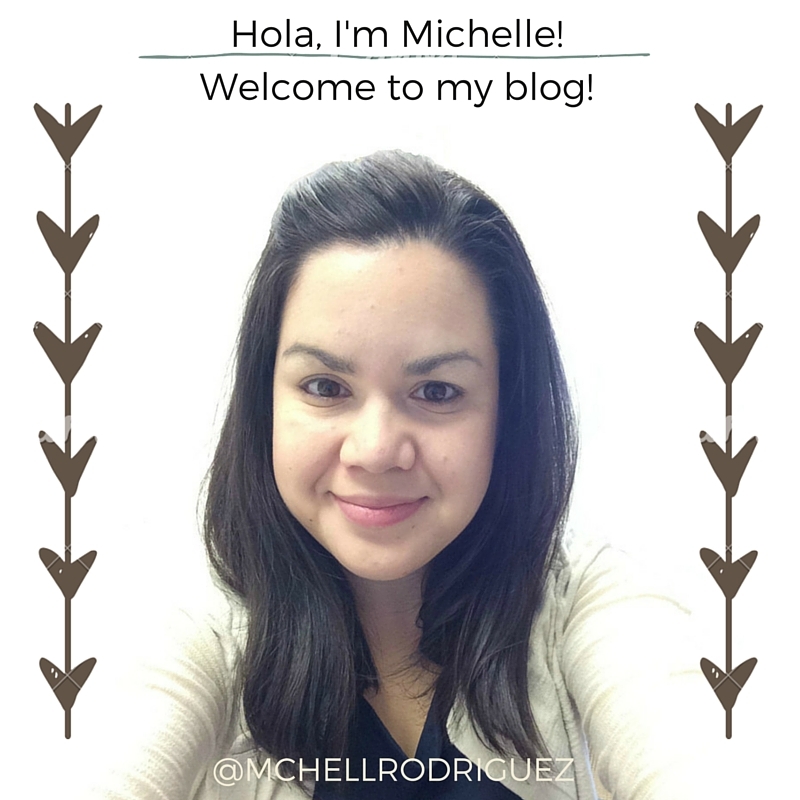 Before you arrive, a camp counselor will call to help make your stay even more special! 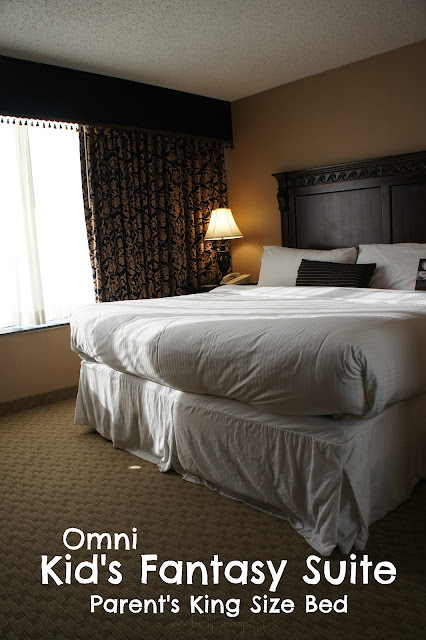 The Camp Omni Package includes a 15% off discount when you stay two nights. 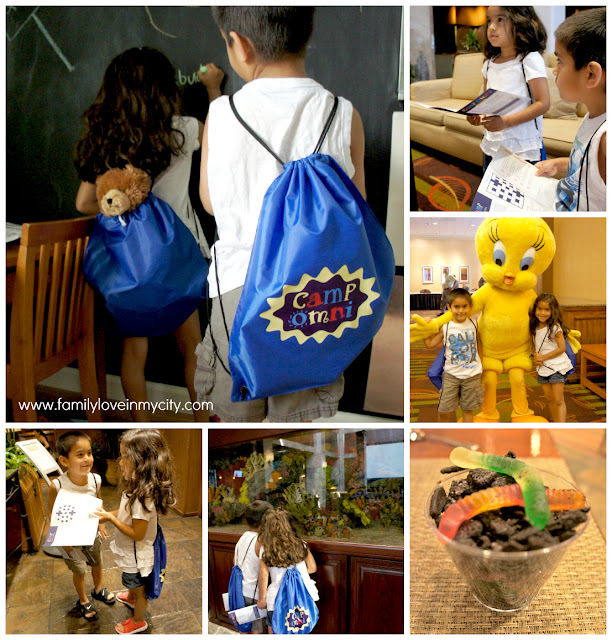 Kids are given a sweet backpack, filled with a camp newsletter with activities, a $10 gift card to use in the hotel, s'more flavored marshmallows, a collapsible water bottle and lanyard kit! My favorite part of Camp Omni is that kids 12 and under get a complimentary breakfast, it just so happened that Tweety Bird was at ours! Camp Omni kids also get to participate in a Scavenger Hunt, and my 6 year olds really enjoyed exploring the hotel! 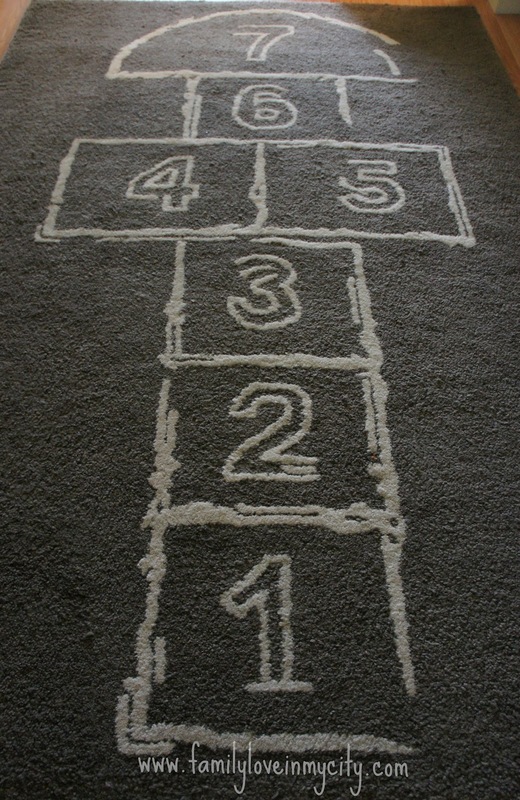 After completing the hunt, you will receive a free dessert of "dirt and worms". We saved ours for after dinner! 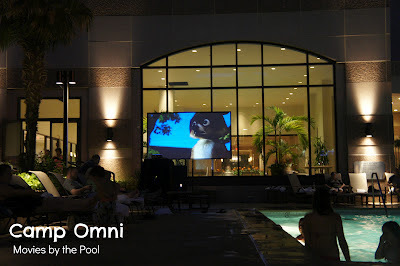 Because it is summer time during Camp Omni, many locations offer movies and activities by the pool in the evenings. It is a great way to unwind from the day! Snacks, drinks and (at our location) even some good ole' Texas BBQ was available for purchase! You may have seen my Instagram of the Amazing Pina Colada! As you can see, we ALL had a great time at our staycation! 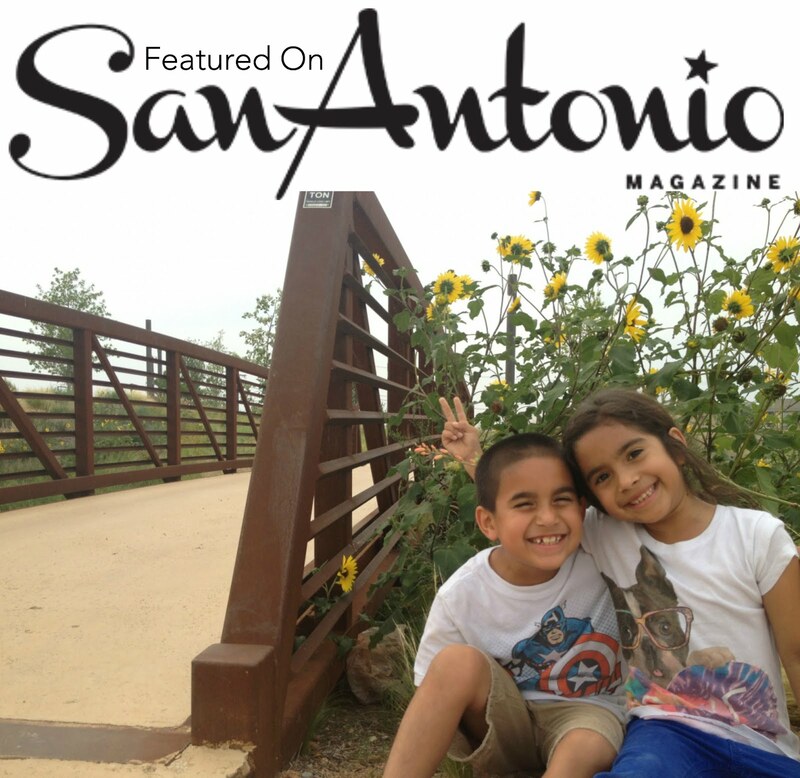 And if you are visiting San Antonio, the Omni San Antonio Hotel at the Colonnade is an awesome choice! The location is right off the highway I-10, near shops, Fiesta Texas, and a short driving distance to Sea World and the downtown Riverwalk area! But don't worry, if you aren't visiting an Omni during the summer, Omni also has a program for kids, called Omni Sensational Kids, where children will receive a reusable backpack that contains crayons, discovery map, hacy sack, frisbee, magnifying glass and twizzlers. Year-round you can also ask the front desk for a kids rolling backpack, filled with toys and books to help kids enjoy their stay a bit more! You can get more information on Omni Hotels by liking them on Facebook and following them on Twitter @OmniHotels. Looking for more Camp Omni fun, follow hashtag #CampOmni to see more insights from families actually staying at the properties!